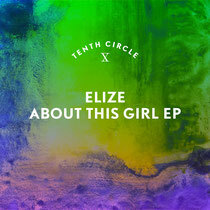 French producer Elize drops an emotive trio of tracks on London imprint Tenth Circle. Pianist and music-lover for the majority of her life, Elize only started producing back in 2011 but has already developed a naturally mature sound, as evidenced by her latest EP. Lead track ‘Just Wanna Dance’ is all about the monster bassline, complemented by soaring pads and twisted vocal interjections, resulting in a tense, satisfying drop at the track’s conclusion. ‘About This Girl’ demonstrates Elize’s prowess as a pianist with original keys and haunting vocals combining for an emotional piece, while ‘All These Ices’ closes things with a cheeky R&B sample set atop rolling, groovy-heavy bass. It’s out March 25, check it out below.